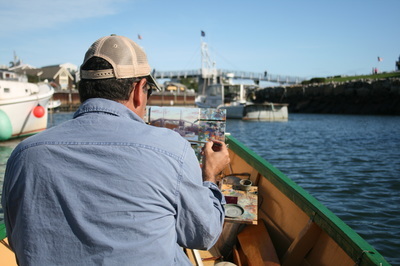 "Reporting for duty" (6x12") oil study of the "Swaggin Boosey" floating Plein air painting art studio. 1) A derogatory term used by pirates to address another pirate in a critical or disrespectful manner. 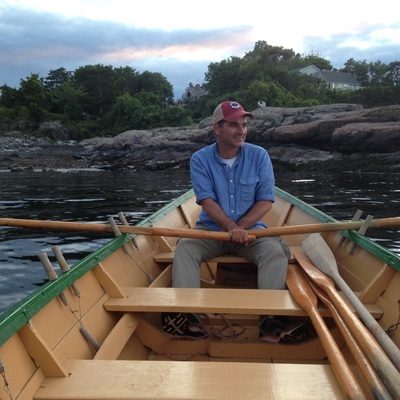 "...Splice the main brace you swaggin boosey, make haste, less ye feel the heel of me boot"....(Pirates and Bucaneers by Howard Pyle). 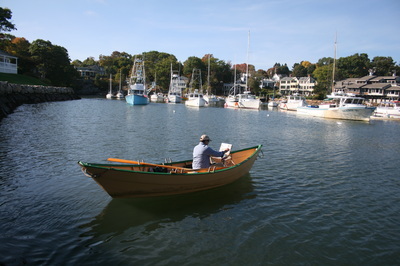 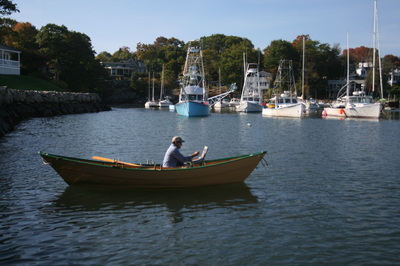 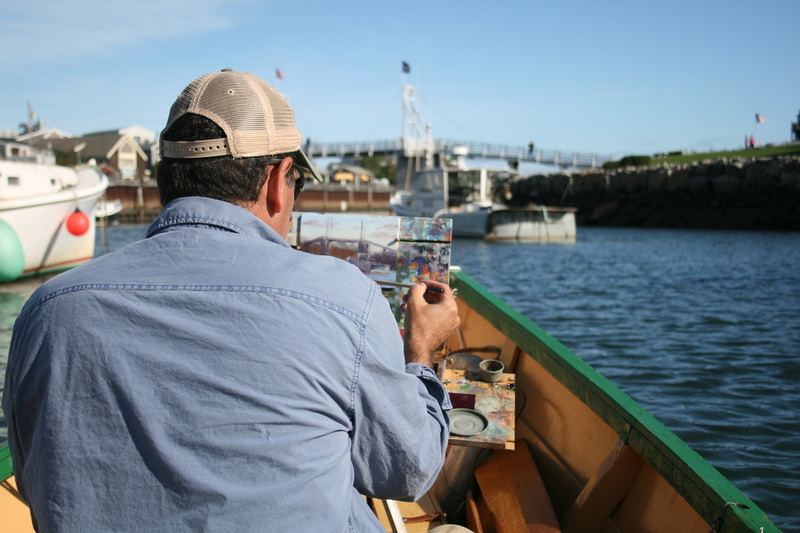 2) A 16 Foot Lunenburg Dory used as a floating Plein Air art studio in Perkins Cove, Ogunquit, Maine to access unique painting motifs.